I have 2 charts separated by a splitter. The bar chart lets users select months, and that months categories are displayed in the bottom pie chart. I want to make sure the user sees that clicking on the bar does indeed change the pie. I am new to Delphi Berlin (from Delphi 5) and am new to animations. I would like to create some sort of animation that will look like the pie chart is comming from the bar chart. Any ideas how to accomplish this or any examples I could look at. Attached is a screenshot of the charts. Also, is there a way to make the legend multiline. I would like the dates displayed in the legend on the second line of the legend item. realsol wrote: Any ideas how to accomplish this or any examples I could look at. There are some animations shipped with TeeChart. You can see a couple of examples under "All features\Welcome !\Tools\Series Animation" in the Features Demo program shipped with the binary installation of TeeChart Pro. realsol wrote: Also, is there a way to make the legend multiline. I would like the dates displayed in the legend on the second line of the legend item. I downloaded the demo from https://www.steema.com/downloads/vcl. It was right where you pointed me. I want to do something also with the pie chart but didn't see any examples. The problem though is there is no source code where I can see how the animation is done. Where can I find that? The demo sources are shipped with the binary installation (evaluation version included). 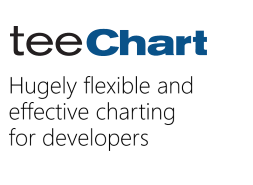 I already have purchased and using the TeeChart Std and don't want to mess anything up with my installation. Will it, or is there a better way to get the source for the demo. Any other documentation would help. TeeChart Std VCL/FMX doesn't support animation as you can check in TeeChart VCL/FMX Feature Matrix. Therefore, if you want work with Animation is necessary use TeeChart Pro VCL/FMX version. You have seen my charts. My customers thought my 3D charts were dated. I tried my best to make them look more modern. I have prepared for you a simple project with your request. I would like suggest you download the TeeChart Por VCL/FMX Evaluation versions from here and check if the project attached beolow works in your end. Thanks. I don't want to have to uninstall my TeeChart to install the pro to test a demo, so I will assume your answer is yes to my question. But thanks you for the zip as I assume, if not now, I will be upgrading and the example will be a great starting point for me. I am talking to Steema about upgrading, but like I said, I don't want to have to uninstall the STD, install pro to see the tutorial. Is there a way that you could please compile this demo so I can take a look before taking the plunge to the pro. I've compiled the project Sandra attached some posts above with RAD 10.2 Tokyo and TeeChart Pro v2017.22. Note it's a VCL project but the result shouldn't be very different in FMX. Find attached a .7z containing the .exe. Yeray wrote: Note it's a VCL project but the result shouldn't be very different in FMX. If you are interested in FMX, you can look at the example here. Find a compiled version of the project here.